Beijing and Tianjin will give financial and technological support to four cities in Hebei Province to help them tackle air pollution. 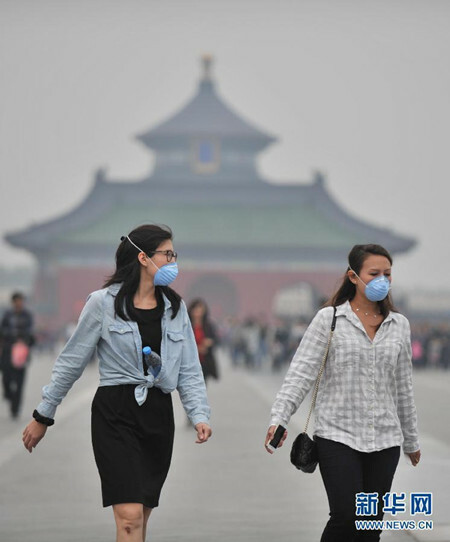 In addition, the six cities are to build a unified emergency response system to cope with heavy smog. Beijing will join forces with its two southern neighbors, Langfang and Baoding, while Tianjin will work with the neighboring port cities of Tangshan and Cangzhou, the Beijing Environmental Protection Bureau said. The cities in Hebei will receive special funds and advanced technology from the two municipalities. All six cities, which form the core area for regional efforts to control air pollution, are to build a unified system to forecast heavy smog and implement emergency response measures. The project will draw on the experience gained from the coordinated efforts made during the Asia-Pacific Economic Cooperation meetings in Beijing in November, the capital's environmental bureau said. The cities currently have their own emergency systems and impose different restrictions on the use of vehicles on smoggy days. During the APEC meetings, the governments of Beijing and Tianjin, the provinces of Hebei, Shandong, Shanxi and the Inner Mongolia autonomous region jointly adopted tough measures to improve air quality. Work at more than 14,000 factories in polluting industries and 40,000 construction sites was suspended. Their efforts meant that residents saw a clear improvement as the concentration of PM2.5－airborne particles measuring 2.5 micrometers or less that can penetrate the lungs and harm health－was reduced by 30 percent in Beijing, Fang Li, deputy head of the bureau, said in November. The coordinated efforts by the six core cities are expected to reduce air pollution in a similar way, the bureau said on Tuesday. Officials set out a number of major areas in which action will be taken this year－cutting vehicle exhaust emissions and coal consumption, reducing the amount of straw that is burned by farmers, phasing out industrial overcapacity, lowering emissions of volatile organic compounds and reducing pollution at ports. Seven of the 10 Chinese cities with the worst air pollution are in Hebei, but the province is making efforts to take at least Langfang off the list this year, the provincial Environmental Protection Bureau said on Wednesday. Beijing needs to control the amount of pollutants blown in from other areas, since they are a major cause of smog in the capital, according to Ma Zhong, dean of Renmin University of China's School of Environment. Research by the Beijing environmental bureau found that 28 to 36 percent of PM2.5 in the atmosphere over the capital comes from surrounding areas, including Hebei. Beijing should compensate Hebei for the economic losses caused by closures of factories that cause pollution and the introduction of more advanced technology, Ma said. In addition, the governments need to unify standards on pollutant emissions, oil quality and sewage discharges.